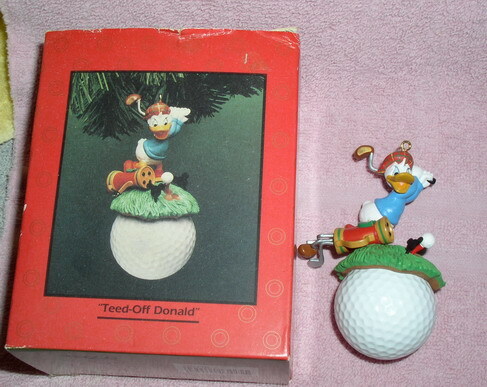 Walt Disney Character Donald Duck - on golf ball Figurine Ornament. Never used or taken out except for this picture. Disney Goofy Hobby Horse Porcelain Rare find WOW!